The Cité du Parc is located in the quadrant formed to the north by King Street West, to the south by Wigget Street, to the east by the Jacques-Cartier Boulevard South and higher up by Rioux Street in the Jacques Cartier ward. 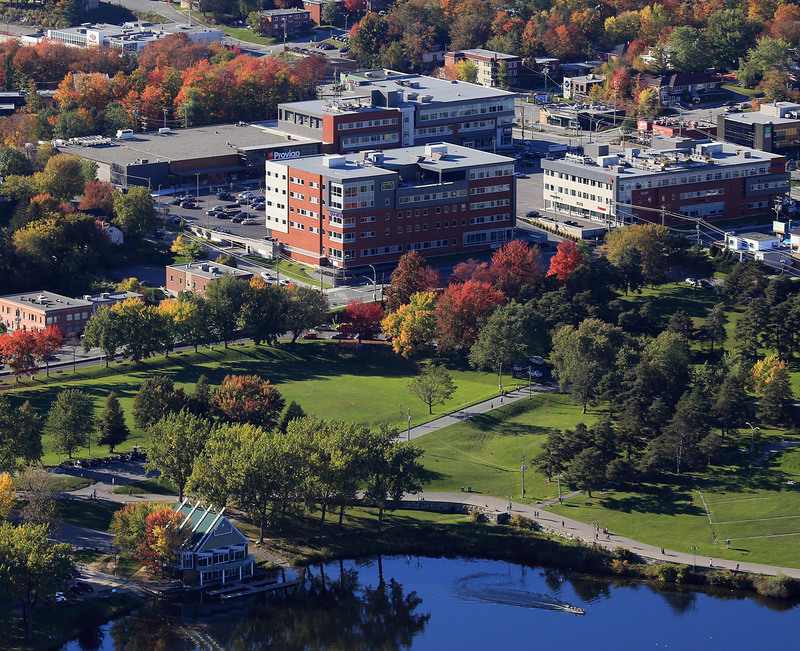 Located at the heart of Sherbrooke's business center and close to several restaurants, grocery stores, pubs/restaurant bars, banks, pharmacies, a municipal park, bike path, yoga studio, medical clinic, gas station and several other businesses. This is an exceptional site in terms of location since it passes 55,000 vehicles per day at the intersection of King Street West and Jacques-Cartier Boulevard. The complex houses 3 buildings with about 265,000 square feet of commercial and office space and and a 45,000 sq.ft. 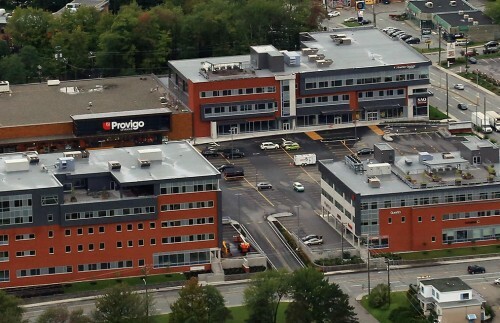 Provigo Le Marché supermarket. 610 interior parking spaces for employees and 450 exterior for customers. Economic use of energy with a geothermic heating and air conditioning system. Elevators and a rooftop terrace on the three buildings for employees.